I thought I knew *a lot* about dual immersion schools because I’ve been researching them for both the blog and our book for almost four years now, but now that my daughter has been in one for almost four months I have a whole new understanding of them. I know the topic of bilingual education as a whole is so confusing for parents because there are so many different programs (ELL, ESL, full immersion, partial immersion, etc) and because, depending on where you live, there is so much controversy and misunderstanding as to how it really works. The fact is that dual immersion programs are proving to be the most effective method to successfully teach children in two languages. The “problem” with the program right now is that it’s still relatively new and it’s sort of an outcast in most public education systems. What I mean by that is that as much as they have been proven to work in the sense that schools with language immersion programs ultimately outperform academically, they are still having to adapt and conform to a public education system that’s not meant for them. My girl received her first report card ever…in Kindergarten! At age 5, these kids are already being tested on the California Standards. The problem is that kindergarteners in a dual language immersion program are focusing mostly on learning the language and not on the long list of standards set in place for English-only schools. This means that the teachers and principal have to make sure that all parents understand that even though our kids may be performing below the state average at this point, it’s perfectly normal and it won’t be this way once they’ve reached the 4th grade and have already transferred over to English all the concepts they learned in Spanish. The standard tests are just not created for our early language-learning kids. As I sat there with my husband during our first parent/teacher conference listening to the fantastic teacher my daughter has, it became clear to me that we’re way ahead of the curve, if you may, and it does take a huge leap of faith from parents and administration to believe in the program and know that there’s more to learning than tests. It’s important to know that the current system is not intended for the gift of bilingualism we’ve all here committed to give our kids. You will search and research schools in your area that offer dual immersion programs and you’ll see the majority of them have a lower than average rating or are considered underperforming schools. But then you take a closer look and read the comments from parents and you’ll see they don’t match the rating. You’ll read success stories and praise for dual immersion classrooms, and that’s where you need to focus. That’s where your leap of faith will be catapulted by other parents that can attest for the growth both academically and socially of their kids. Yes, our children must pass the tests and teachers must still teach for the tests under our current system. However, if your child is in a dual immersion program, tests will be conducted in Spanish and the teachers will select which standards to test and at what pace. Trust them and trust the model. Talk to other parents. Talk to us. Meet the kids in upper grades. Visit or talk to principals in other schools that have already reached and surpassed their academic goals because they’ve been in this for a longer time. Be inspired and trust that your child will learn and in two languages. How beautiful is that? 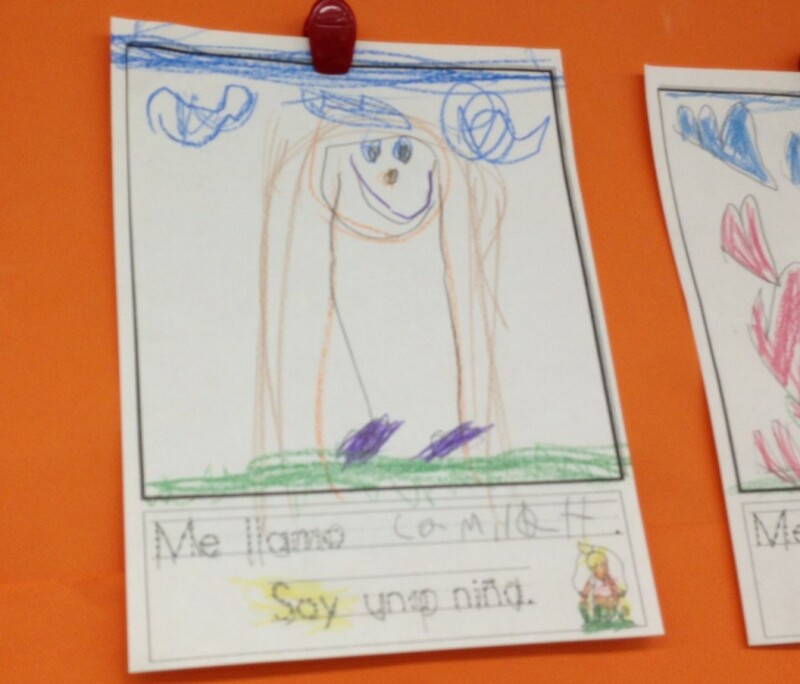 Share with us: Is your child in a dual immersion program? What has been the most difficult and rewarding aspect for you? Do you agree it takes a leap of faith? I’m a product of a dual immersion school from my little native country of Panama. I moved to Panama when I was 3 and then my family enrolled me in an All-Spanish Kindergarten (at the time I only spoke English). After that they enrolled me in a dual-immersion school where half of my classes were in English (Science, Math) and the other half in Spanish (Civics, History, Language Skills). At the time (1980s) this particular school was one of the top private schools in Panama because of their language curriculum. Thanks to my family’s wise decision, I’m able today as an adult easily jump back & forth between both languages (spoken & written) with no problem. Now here we are in the 2000′s and the American education system STILL has a distrust with these types of programs. I believe the day Americans stop living in a bubble and realize that we are living in a global community, then these programs will become a standard in the public school system. Dual-immersion programs have been proven to work around the world, hence so many bilingual people around the world. For the United States to still be treating this system as an outcast is quite frankly insulting. I’m sorry for this negative rant, but since I am a living proof of this method, I still get baffled when people question it. I’m living proof of it as well and we want to have more and more kids attest to it in the U.S.! The system won’t change right away, but parents are more informed and taking matters into their own hands. You have no idea how many charter schools with DL programs are popping up in L.A. and in many other cities. There’s hope! I agree with you Ms. Flores, again sorry for the negative rant. 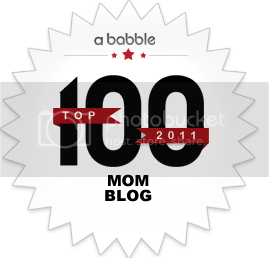 I have a one year old who I plan to raise bilingual. Currently we live in Oklahoma where language programs are very limited. We are hoping to move to Texas where there are DL programs popping up, but sometimes I do question the quality, since the schools I grew up in where very strict about the correct use of both languages. Have you encountered any problems in that sense? My daughter just started Kindergarten this fall at a French Immersion school. The first 2 yrs (K and 1st) are completely immersion (they only speak French in classroom). However, outside activities, like recess, lunch, library, art, music and gym are in English (so I guess that would make it a dual-immersion program). After those 2 yrs, more English is introduced into classroom instruction. A few weeks ago I was afraid she was not performing (in English or Spanish) to her friends that she left at her previous school. However, I know she can read some French, she’s doing great in math, her Spanish has also improved, and her French is even making appearances in our every day life. She even calls Dora the explorer with a French rolled r, and I think it’s just wonderful. Most recently, as we consider sending our first to kinder in a dual language program next year, I always thought it would be the obvious choice because I have studied bilingual education and know that in the long run, the bilingual kids come out on top, but now that we are actually in the situation, I have other questions… We visited our closest Dual Language program and the kindergarten students were tracing letter F on a full- 8 1/2 x 11 paper, while my son is ALREADY reading, already writing short messages and is ALREADY bilingual. He is not as BIlingual as I would like, and I would like for him to have a larger community supporting bilingualism; however, how soon would the academic rigor of that community match his background and what we are hoping for? SunOcean18… we live in the same area with a similar circumstances…we really have to get together! Melissa, that’s normal for you to be questioning this. I think that to evaluate a DL program you need to think in the long run. In Kindergarten the teachers are definitey working on the Standards, but they do need to take into account that most children in the classroom are also learning the language. It’s beautiful that your child is already reading and writing, but that’s not a requirement for K and the vast majority of children aren’t. Ask the school how they deal with children with advanced skills because they might work with them in separate groups. 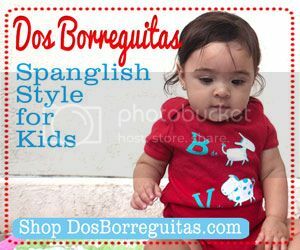 How I feel is that I really want my daughter to be fully bilingual and bicultural and I know I won’t be able to teach her the skills in Spanish on my own (she tunes off anytime I try to “teach” her anything!). I’m happy to share more about our experience anytime! Yes, we should really make it a point to get together and/or share resources! Are you familiar with Central Language Academy in Ontario? My niece is enrolled there and so far my sister-in-law is happy with the school. I personally have never visited Central since it’s out of our way and we haven’t considered that as on option. The charter school we are looking at is in San Bernardino, which is also out of the way from where we live, but I work near the area so I would be able to drop off our son and pick him up. Wow. What a wonderful piece. Thank you so much for this, Ana. It’s so funny you post this because just last night my husband and I were talking about the possibility of enrolling our son in a dual immersion program. This has been a topic of discussion in our home ever since he turned 2. He is currently 3 years old and still has a way to go, but we’ve already enrolled him in the lottery for a dual immersion charter school that is located about 20 miles from our home. The dilemma we face is that our local school district is one of the 10% in performance from all districts in California, and our local Elementary school has an API score of over 900 and has won numerous awards. I know we shouldn’t base performance off of API, but our son is currently enrolled in their preschool and we’ve been so impressed with the district and the parent involvement we see with other parents and teachers. We are so torn about where to enroll him when the time comes. We have been doing our homework as well and have met the Principal for the dual immersion program and I have also contacted their Board Members to discuss the school and the strategies they have in place for learning. We’ve done a school site visit but we haven’t tried to contact other parents there which I think is a great recommendation on your part and I thank you for that. You´re doing everything as you should and I think that the answer will come to you and it will be clear. It´s a lot about your gut as of what is more important to your family. I made the decision to enroll my daughter in an all-English Montessori preschool because the immersion options I had were not great ones and the Montessori approach was great for her. I had to sacrifice her learning Spanish at a critical age, but I knew she would go to a dual immersion elementary even if it meant we would need to move. So thrilled you shared this with us. We definitely need parents with success stories to share them and scream them out to the world. So thrilled for you and your children. What a beautiful journey! And congrats to you for taking this leap of faith, even more so 8 years ago when dual immersion programs were a novelty. BTW, we toured Edison in Santa Monica and loved it, but we live too far. I loved this post Ana. My kids are 1 and 3 and next year we can apply for the lottery at the bilingual immersion charter school in Northern Colorado. It is extremely tough to get in and our neighborhood’s elementary is top notch. However, I feel like I would be extremely disappointed if I had to send them to it. Although the neighborhood school scores higher in standardized tests, none of those scores would mean anything to me if my kids lost the spanish language skills that I’ve worked so hard to give them. I grew up attending a private bilingual school in El Salvador and my transition to life in the US was 100% easier due to that. I know that the method works, but where we live our chances of getting into an immersion school are very low. However, reding your article just re-asserted how important it is to me. Thanks for sharing your thoughts. It sounds like you’re in the perfect frame of mind for a DL immersion program! It’s definitely not about the test scores, although these schools eventually over index in those as well. Do they give you priority if your child tests as fluent? That’s what helped us get an extra point, so to say, for the lottery. 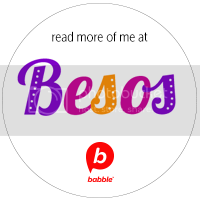 What’s up,I read your blogs named “Why It Takes a Leap of Faith to Enroll Your Child in a Dual Language Immersion Program |Hacked Bu JoseQual” on a regular basis.Your story-telling style is witty, keep up the good work! And you can look our website about proxy free list.